Catenary lighting systems are now recognized globally as a great way of lighting larger public spaces with new levels of accuracy, efficiency and without the clutter of traditional pole solutions. 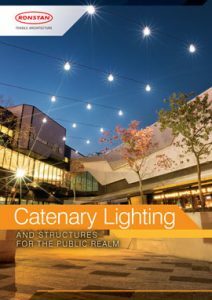 We are proud to announce another world first from Ronstan Tensile Architecture, our Catenary Lighting Catalogue, which outlines the many benefits of Catenary Lighting and spells out the key design considerations in the context of some of the world’s finest Catenary Lighting project examples. 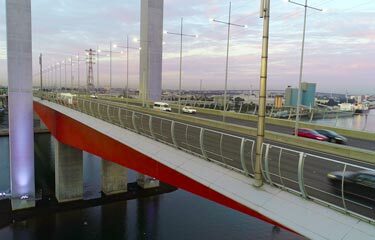 With structures completed on three continents we can lay claim to a level of expertise unparalleled in this field and with our local presence we are well placed to assist you with your Catenary Lighting aspirations. To download a copy of the catalogue or to request a hard copy please see the links below. If you would like us to make a presentation at your office or if we can help you develop your concept further, please contact us to discuss your project.